The Pennsylvania native said being a role model for youth is more important. Being gay and having disdain for Mike Pence. Those are two things that have been central to a lot of the coverage of U.S. Olympic figure skater Adam Rippon, while he competes at the Winter Olympics in Pyeongchang, South Korea. After all, the Scranton, Pennsylvania native has been outspoken about the Vice President's record on LGBT issues while he was the governor of Indiana. Rippon and skier Gus Kenworthy are the first openly gay U.S. athletes to compete at the Winter Olympics. But for Rippon, 28, it's being a role model for LGBT youth back home that's important to him -- not making his time at the games about a lawmaker he vehemently opposes. (Paul Chiasson/The Canadian Press via AP) Adam Rippon of the United States reacts after his performance in the men's single skating free skating in the Gangneung Ice Arena at the 2018 Winter Olympics in Gangneung, South Korea, Monday, Feb. 12, 2018. "I have no problem talking about what I've said because I stand by it, but I think right now the Olympics are about Olympic competition and the athletes involved," Rippon, who won a bronze Sunday, said at a press conference Tuesday. "I don't want it to distract from them, and I don't want my Olympic experience to be about Mike Pence. I want it to be about my amazing skating and being America's sweetheart." The Rippon-Pence saga kicked off last month when Rippon told USA Today of the vice president's involvement with the Olympics, "You mean Mike Pence, the same Mike Pence that funded gay conversion therapy? I’m not buying it." In a 2000 statement on his congressional campaign website, Pence said, "Resources should be directed toward those institutions which provide assistance to those seeking to change their sexual behavior." During the 2016 election campaign, however, Pence's spokesman said he does not support the concept. (AP Photo/Rick Bowmer) United States Olympic Winter Games figure skater Adam Rippon poses for a portrait at the 2017 Team USA Media Summit Monday, Sept. 25, 2017, in Park City, Utah. Rippon further told USA Today, "If it were before my event, I would absolutely not go out of my way to meet somebody who I felt has gone out of their way to not only show that they aren’t a friend of a gay person but that they think that they’re sick. I wouldn’t go out of my way to meet somebody like that." 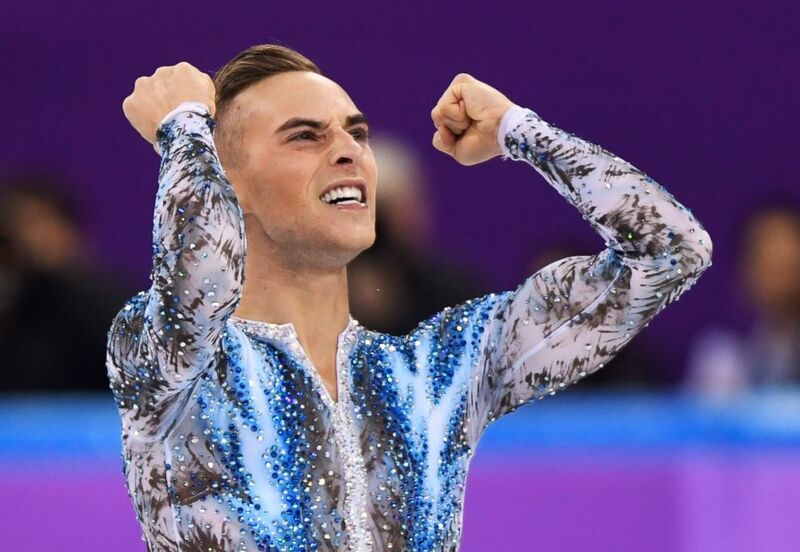 Then last week, as reports circulated that there was tension between the pair, Pence took to Twitter, and wrote, "@Adaripp I want you to know we are FOR YOU. Don’t let fake news distract you. I am proud of you and ALL OF OUR GREAT athletes and my only hope for you and all of #TeamUSA is to bring home the gold. Go get 'em!" 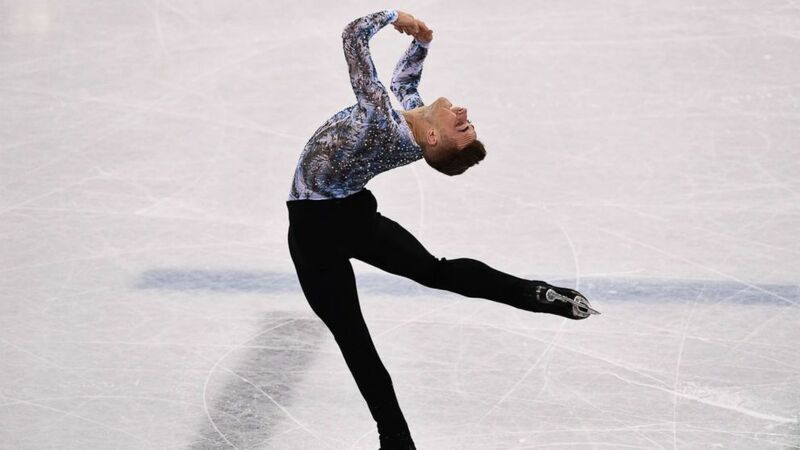 (AFP/Getty Images) Adam Rippon of the United States, competes in the figure skating team event men's single skating free skating during the 2018 Winter Olympic Games, Feb. 12, 2018. While Rippon downplayed at the press conference the chatter about him and Pence, he instead elaborated on being a role model for youth. "I worked really hard to get where I am," Rippon said. "And I didn't get to where I am for being gay or speaking out on different issues. I got to where I am for working really hard. I think that me using my voice has given my skating a greater purpose of more than just something that I enjoy to do. It's given me a voice to reach to young kids." Rippon continued, "I've gotten so many messages. I could even get emotional thinking about it. I've gotten so many messages from young kids all over the country. That my story has resonated with them and its incredibly powerful that this platform that you can have at the Olympic games. 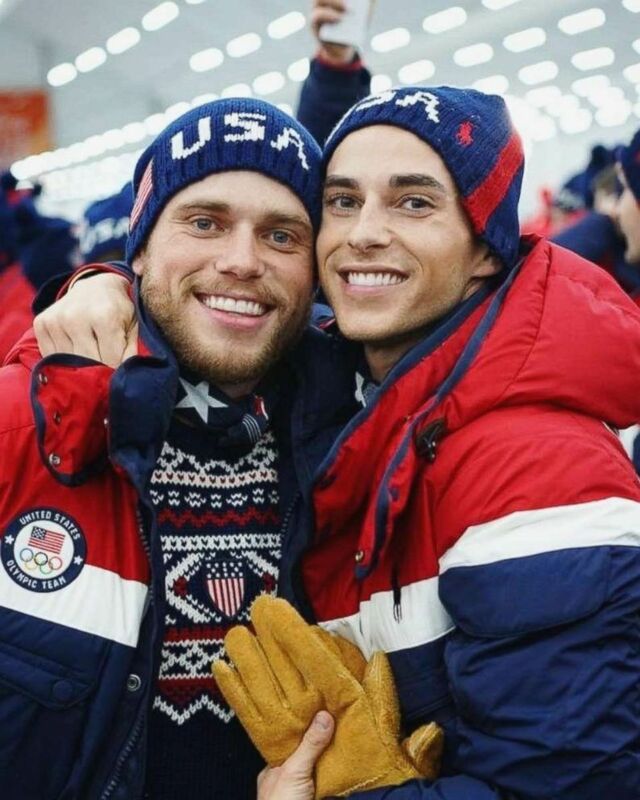 (Instgram/guskenworthy) U.S. Winter Olympian Gus Kenworthy (left) posted this photo of himself with fellow openly gay Olympian Adam Rippon in South Korea on Feb. 9, 2018. And Rippon, who is based in Los Angeles, has no plans to quiet down. 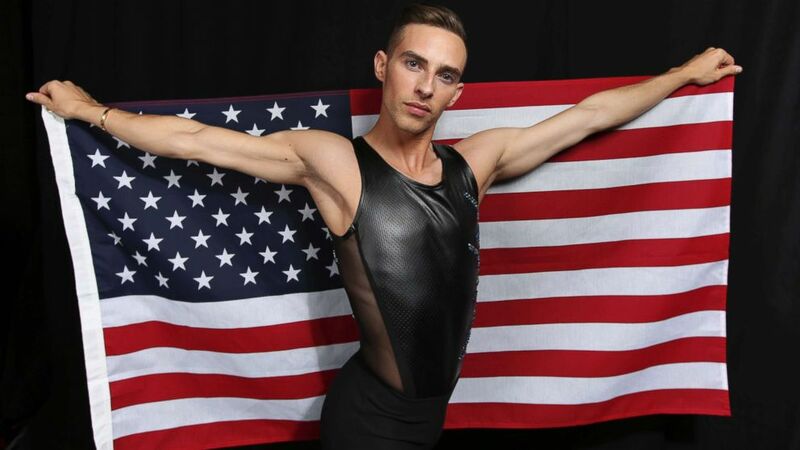 "I heard a lot of people, say 'Adam Rippon should tone it down' and blah blah blah," he said. "I can't tone it down. I'm being me and being myself ... and I would be doing myself an injustice and an injustice to those kids who didn't think they could be themselves."